As part of the 2011 Minnesota Minerals Education Workshop (http://www.d.umn.edu/prc/MMEW/index.html) a field trip to the inactive LTV iron mine, that formerly mined the Biwabik Iron Formation, was offered. This was the second taconite mine put in operation on the Mesabi Iron Range and most of the operation facitities have since been bought by the PolyMet Mining Company to be used to process Cu-Ni-PGE ore from a nearby deposit. The Biwabik Iron Formation was deposited 1,900 to 1,885 million years ago when the area was located at the edge of the Animikie Sea. 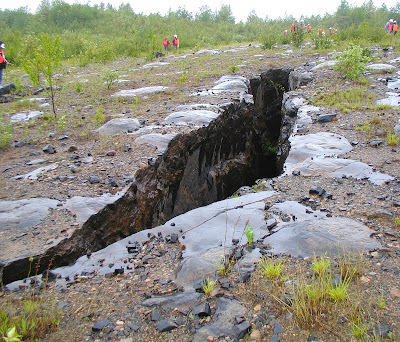 Due to the erosion of the continent to the north, surface waters were eroding and depositing fine materials like silt and clay into the shore areas of the Animikie Sea. 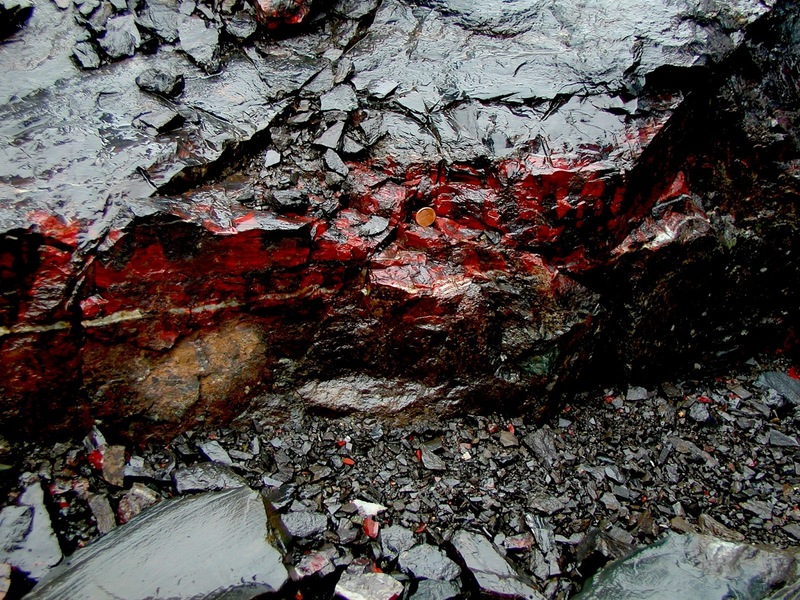 Prior to the time of iron deposition, the atmosphere and oceans would not have had free oxygen molecules, causing reduced iron to be easily dissolved and concentrated in the sea. 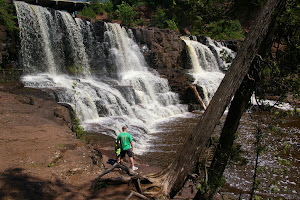 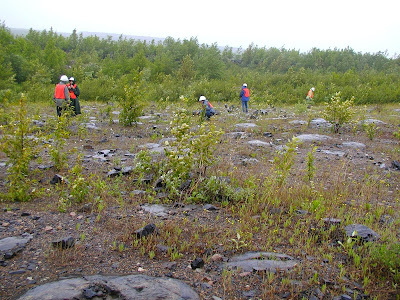 The iron deposition occurred at a unique period in Earth's history as photosynthetic organisms appear worldwide in the rock record, including the Mesabi Iron Range. 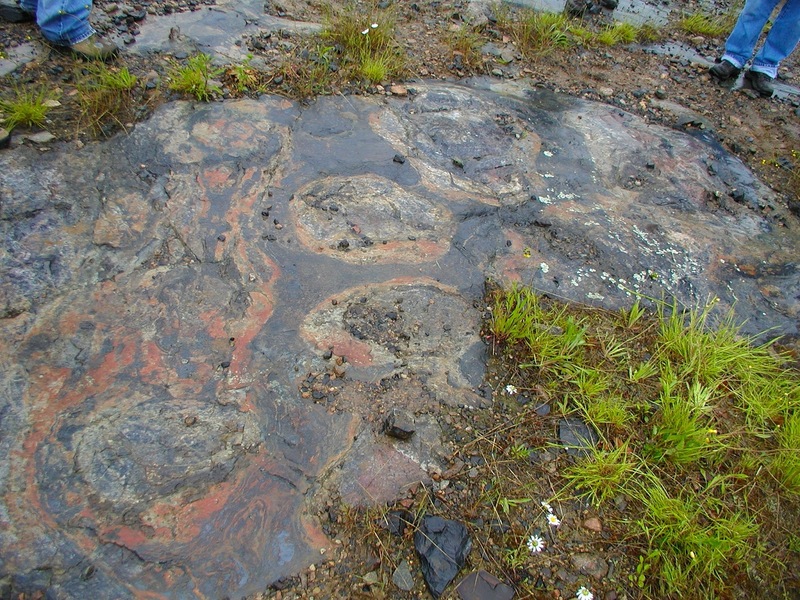 These organisms, called stromatolites, formed algal reefs along the shorelines of the world and as a waste product of photosynthesis, they created oxygen. 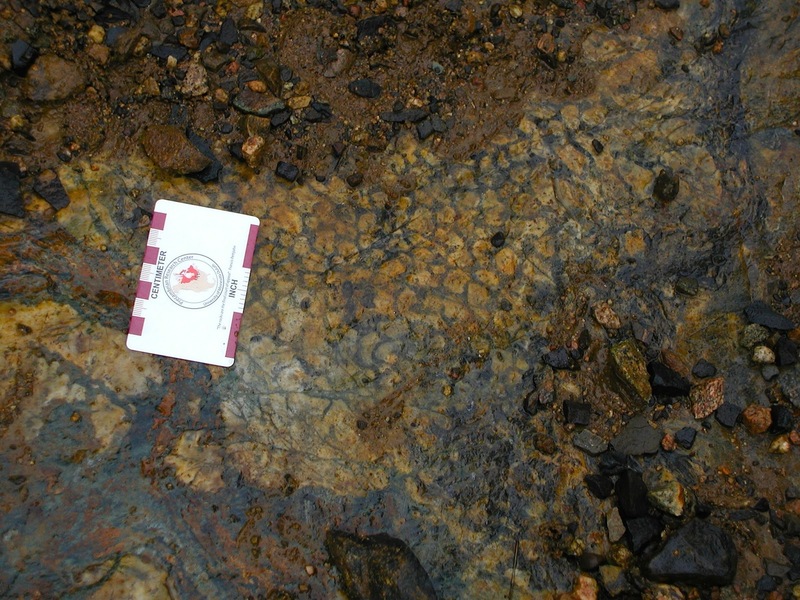 This oxygen caused the iron to precipitate out of the water and be deposited as iron minerals. 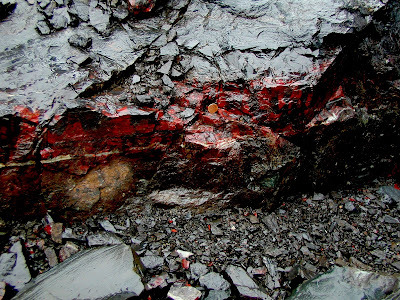 This process is called the Great Oxidation Event (GOE) and formed most of the iron formations found throughout the world. 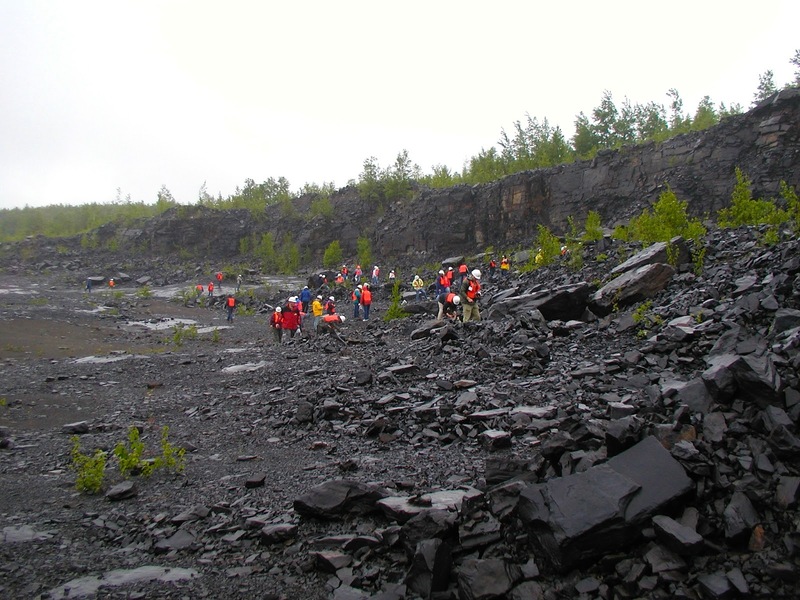 As the deposited sediments were lithified to form rock, the iron materials turned into magnetite while silica became chert, a form of quartz. 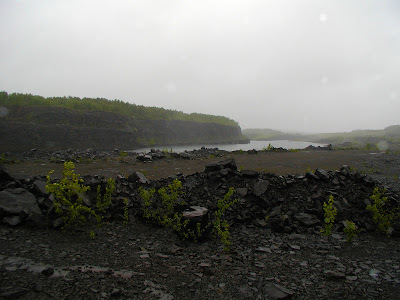 Other sediments were deposited in deeper waters forming clay and eventually slate. 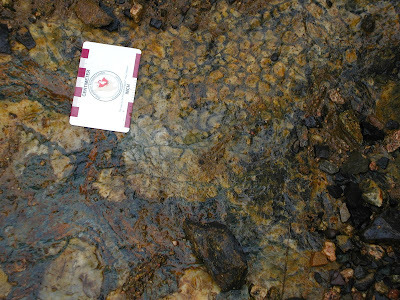 In the Biwabik Iron Formation, the iron is found between deeper water 'slatey' layers and the shallower water 'cherty' layers. Our first stop, in Pit 5E, demonstrated an entire stratigraphic section of the Lower Cherty and Lower Slatey members of the Biwabik Iron Formation. Near the bottom of the cherty layer, stromatolites can be found. 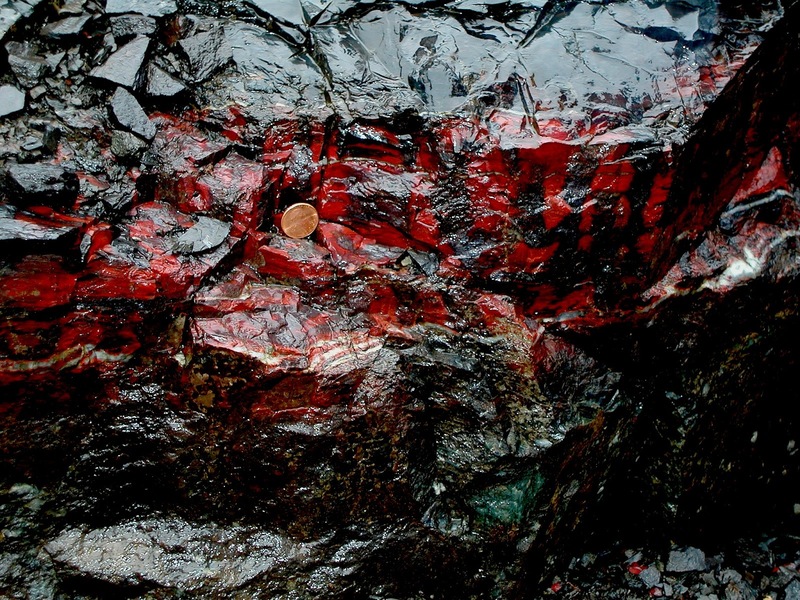 These can be recognized by the columns of bright red jasper. 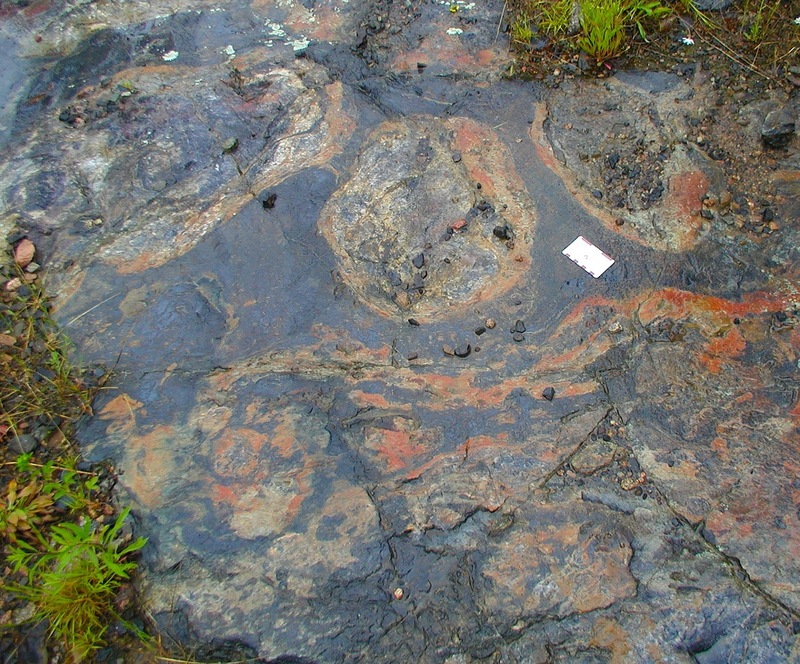 In Pit 2E, at the top of the Upper Cherty member of the Biwabik Iron Formation is an area that contains a large number of algal stromatolite mounds. 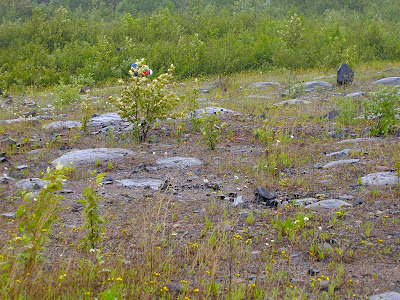 Each dome shaped structure in the attached pictures would have been a stromatolite mound. 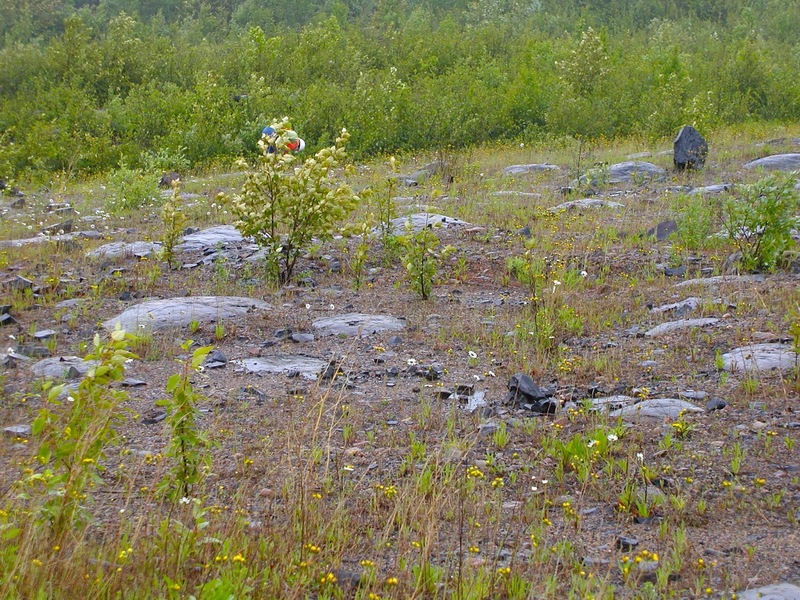 You need to imagine the scene 1,900 million years ago as these algal mounds would have been found near the shore of the Animikie Sea precipitating iron material to the ocean floor. Locations like these are rare in todays world, as predators quickly consume the defenseless algae, though Shark Bay in western Australia is one location you would be able to see a similar sight of algal mounds. 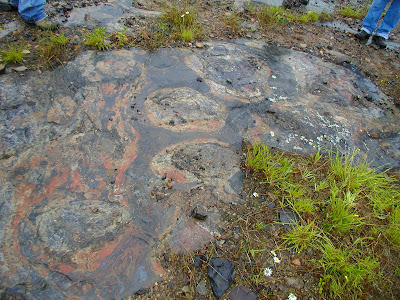 Each stromatolite mound is made of individual, column structures that are build upwards. This particular field of stromatolite domes will be preserved, there are no plans to mine the area in the future. 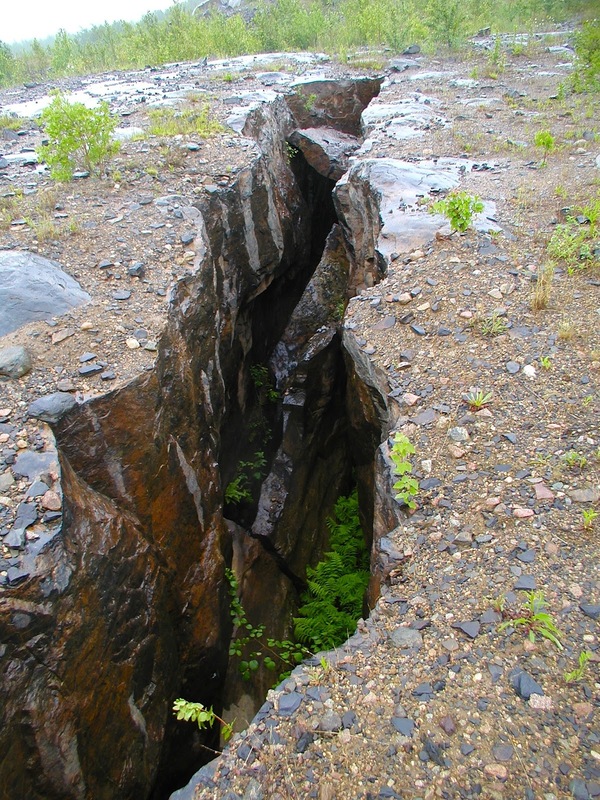 Though during the active mining period, blasting began to separate a section of the field, resulting in a chasm 2-3 feet wide and 10-15 feet deep.